Prompted by Vivian’s (ZS6VD) technical topic “Audio Speech Processor”, here are some measurements made on a South African designed and manufactured HF man-pack/vehicular radio with a good speech processor that I trust you will find interesting. I think I first heard about the “Whistle to Aah” ratio from my former employer OM Dave Larsen, ZS6DN, 30+ years ago. Dave is one of the original inventors and promoter of good RF speech processing techniques now used in most of the world’s better HF military radios and some amateur radios. Speech processing involves frequency response tailoring and the reducing of the peak-to-average ratio of the SSB envelope to improve the intelligibility of weak HF signals in the presence of noise and interference. If done properly it makes a tremendous difference to signal readability. So what is the “Whistle to Aah” ratio? 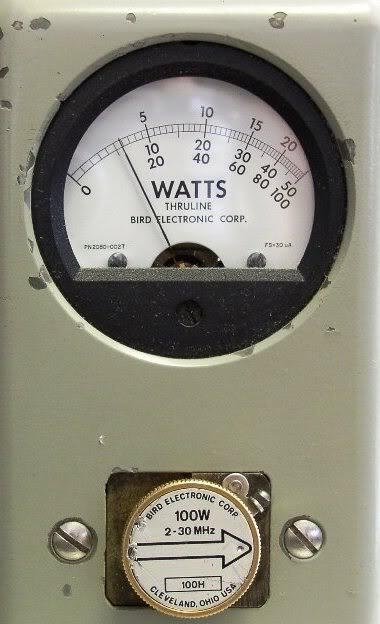 Have a look at the pictures below showing a man-pack radio’s average output power measured on an old Bird inline wattmeter together with oscilloscope images showing the RF envelope. 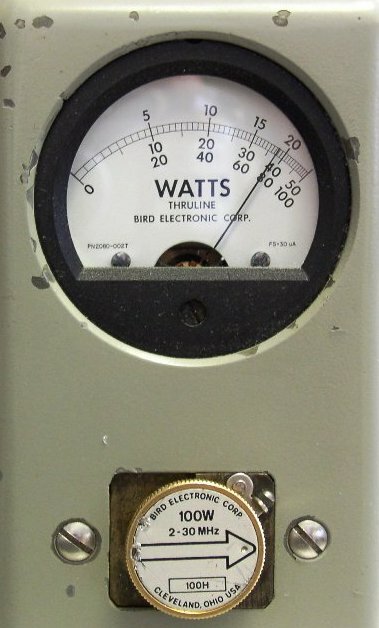 Fig.1: 100W output with whistle. Fig.1 shows an output power of 100W with a whistle. (Average and PEP) The maximum output power is set to 100W PEP by the radio’s internal ALC (automatic level control) that controls the gain of the transmitting path. 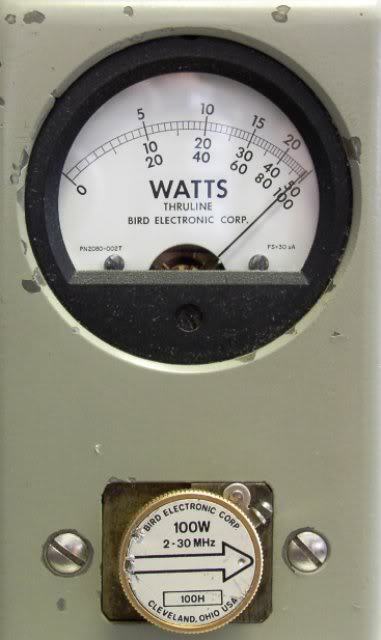 Fig.2 shows an average output power of about 12W, as measured on the Bird, when the radio is modulated by a long "Aaaaaaaaaaaaah". 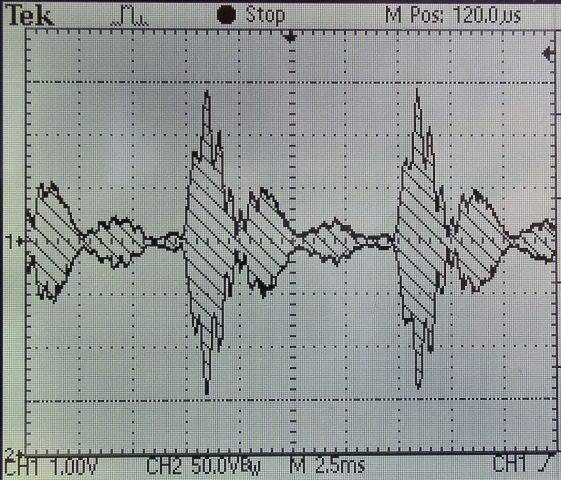 Fig.3 illustrates the oscilloscope image of the RF envelope. These measurements were made with the speech processor turned off. Fig.2: 12W output with "Aah", processor off. 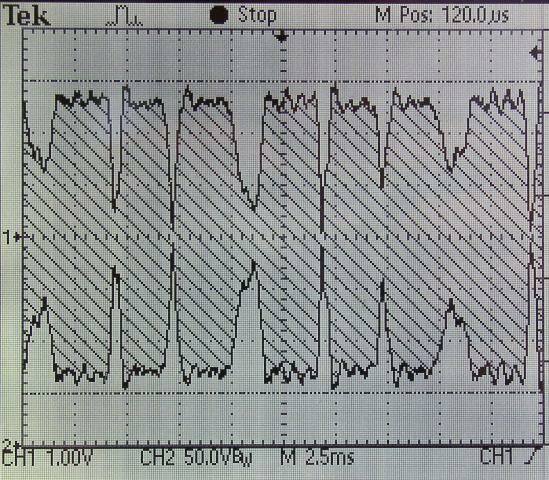 Fig.3: Oscillogram for 12W output with "Aah", processor off. Although the average power of the "Aah" is a low 12W the peak of the RF envelope (PEP) still gets to 100W, as can be seen from the oscilloscope image. The whistle to Aah ratio (peak-to-average ratio, PAR) can now be calculated as follows: PAR = 100/12 = 8.5. Using the same "Aaaaaaaaaaaaah" to modulate the radio with the speech processor switched on gives the following images (Figs. 4 & 5) and result. Fig.4: 75W output with "Aah", processor on. Fig.5: Oscillogram for 75W output with "Aah", processor on. Here we get a whistle to Aah ratio (PAR) of 100/75 or 1.3. As can be seem from the oscilloscope image the RF envelope PEP remains at 100W. Although the average power with the speech processor switched on increases by a little more than 1-S unit, the improvement in intelligibility, especially when signals are weak in a noisy band, far exceeds this gain - as explained here. The answer: “No - not if it’s done properly”. 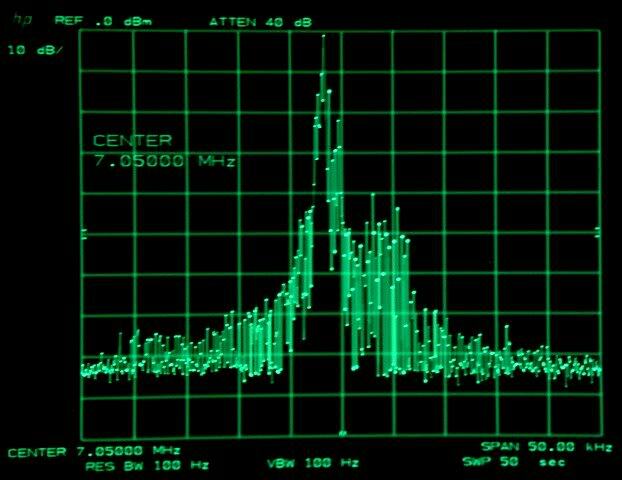 Have a look at the attached accumulative RF transmit spectrum from the man-pack while transmitting a continuous SSB count. Figs. 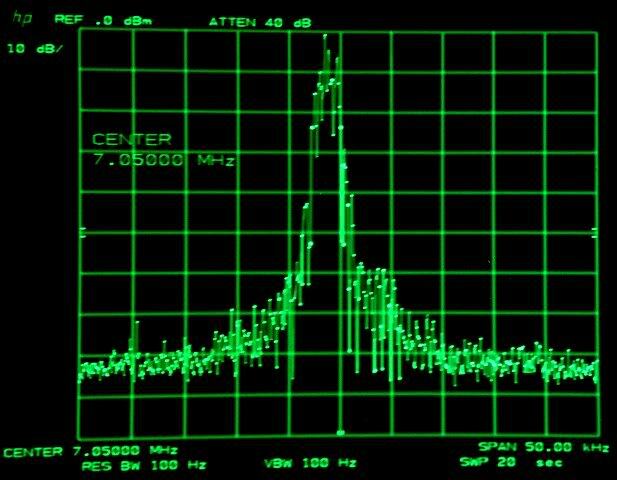 6 & 7 show the accumulative RF transmitting spectrum with the RF speech processor switched off and on respectively. Fig.6: Transmitter output spectrogram, 100W, processor off. Fig.7: Transmitter output spectrogram, 100W, processor on. It will be seen that the spectrum with the speech processor switched on is actually cleaner than that with the speech processor off. This is due to the smaller inter-syllabic RF envelope variation (with the speech processor on), resulting in smaller ALC gain changes between words that cause the low level splatter. So is there any downside to using a good speech processor? Speech processing results in some in-band distortion products being generated. This, together with the frequency tailoring, will make the signal sound somewhat high-pitched and harsh when conditions are good. You need to be able to switch it off when not required. I’m sure there are many who may have something to add – let’s hear from you. Copyright © 2010-2013, Mike Perks ZS6BIM, including images. All rights reserved. Page created and edited by Adam Farson VA7OJ/AB4OJ.